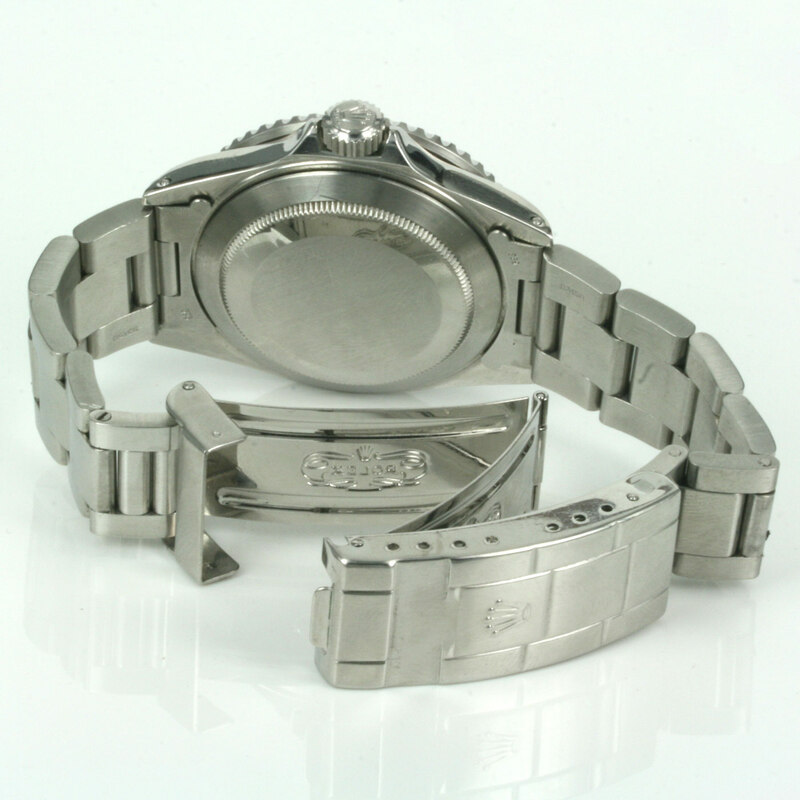 Product code: Q866 Categories: Sold Items, Sold Rolex Watches. If you love vintage Rolex watches and have ever wanted a classic styled vintage Rolex Submariner, then this is the one for you. Arguably the best model of vintage Submariners, this particular Rolex Submariner simply has so much going for it that models before and after simply do not have. 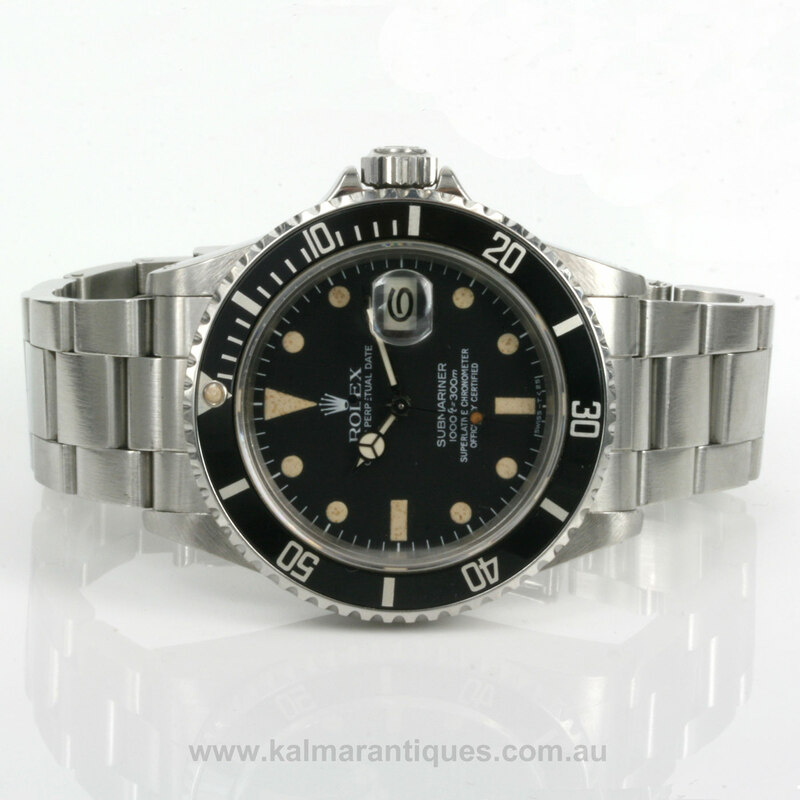 Firstly this is the Rolex Submariner model 16800 that was made in 1981. This was the first model to be introduced with the sapphire crystal for added durability. This replaced the earlier acrylic crystal which was used until this model came out. Also this was the first Rolex Submariner that was rated for a deeper depth. Earlier Submariner models were rated to 660 feet/200 meters whereas this Submariner was improved and now rated to 1,000 feet/300 meters. However it is the dial that is spectacular on this Rolex Submariner and makes it perfect for any Rolex collector out there. The earlier Rolex Submariners had the flat dial without the raised index markers with the surrounding bezel, and the later ones with the sapphire crystal had the raised index markers, however this one has the beauty of the earlier flat dials with the durability and protection of the sapphire crystal. Not only is the dial in superb condition, the hour, minute and second hands are all original and all have achieved that wonderful consistent patina that Rolex collectors covet so much. The numbers “6” for the 6th, 16th and 26th also are the earlier “open six” where the number 6 doesn’t completely enclose on itself as the later models do. The case still measures the traditional 40mm in diameter plus the Rolex Triplock crown and inside is powered by a 27 jewelled automatic Rolex calibre 3035 that comes with our 12 month warranty. Fitted on the Rolex Oyster band, the band itself is in wonderful condition and can so easily be worn all the time. The Rolex Submariner remains one of if not the most popular Rolex model, and this vintage Rolex Submariner has so much going for it and certainly wont last long.